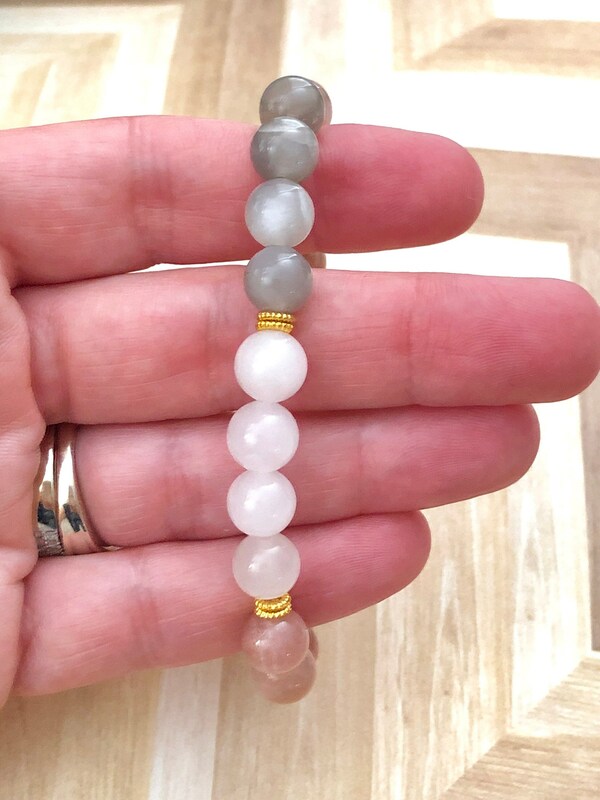 This spectacular Moonstone Fertility Bracelet features both moonstone and white quartz beads, with gold spacers. 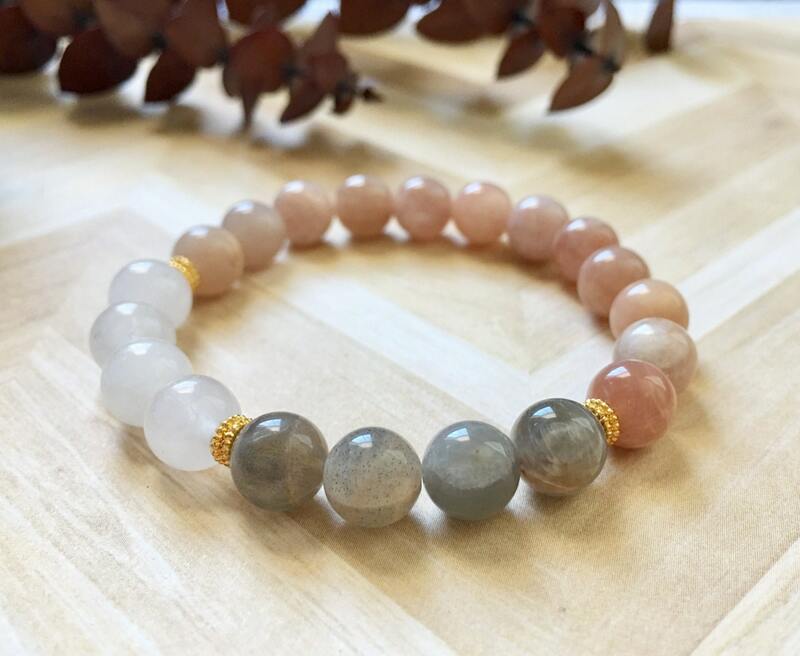 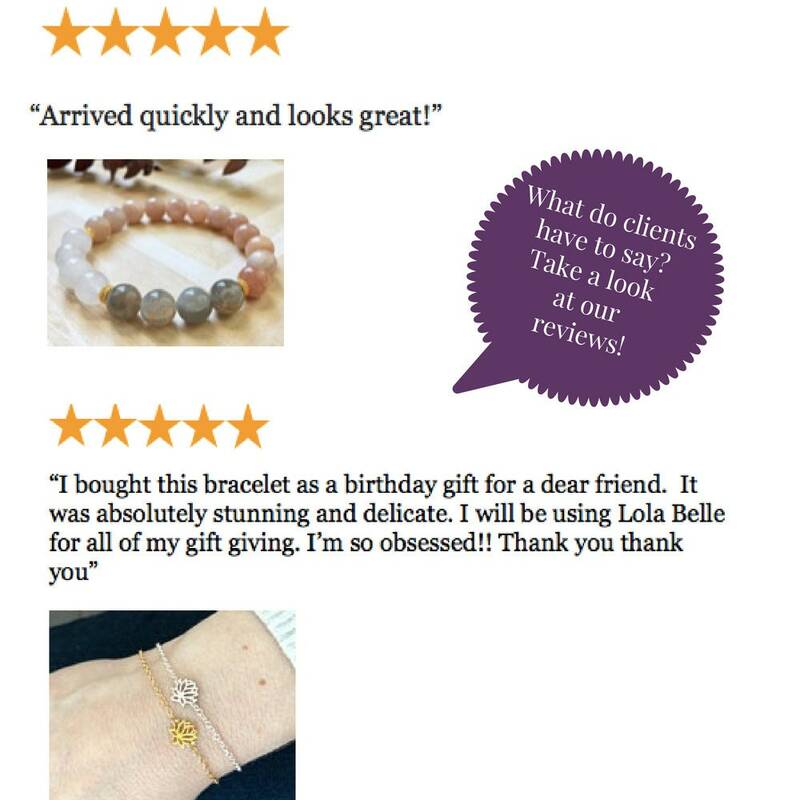 This fabulous gemstone bracelet will make a unique gift for your sister, girlfriend, mother, wife, or any woman you want to give a spiritual boost. 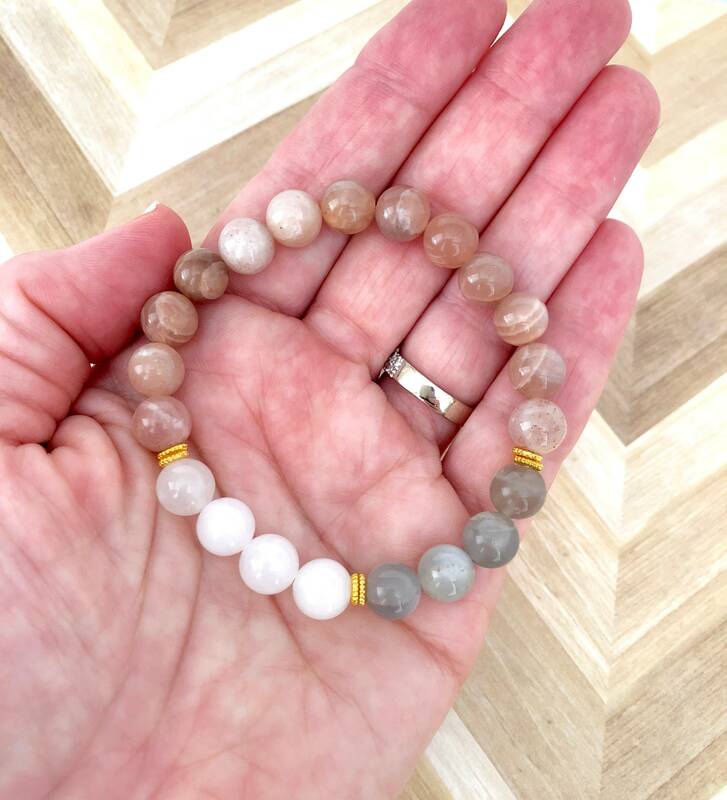 Known as a female stone, Moonstone is thought to aid in boosting fertility, balance hormones, and metabolism, relieving anxiety, increase creativity, and boost the personal growth. 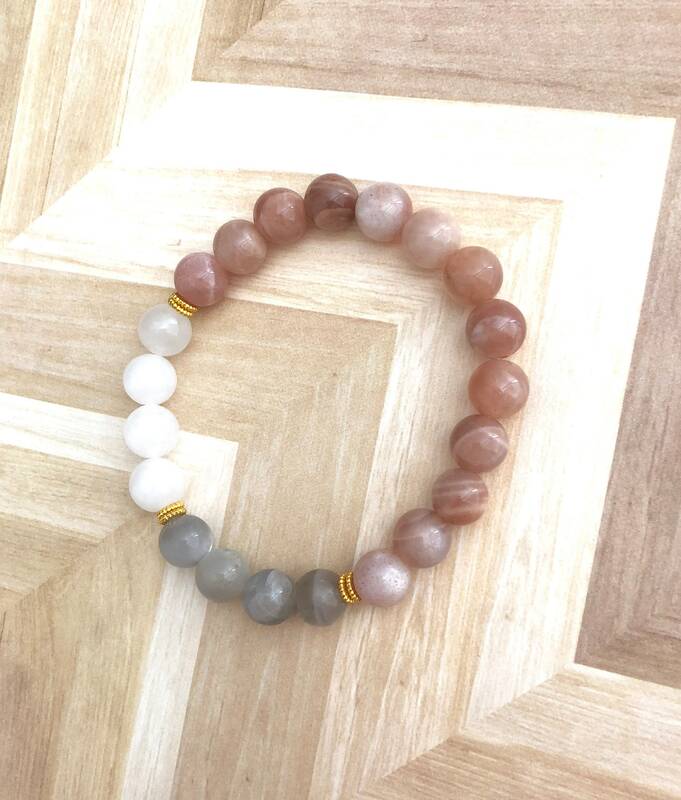 Moonstone occurs in peach, gray, and cream or off white, and stones will have striations of each of these colors. 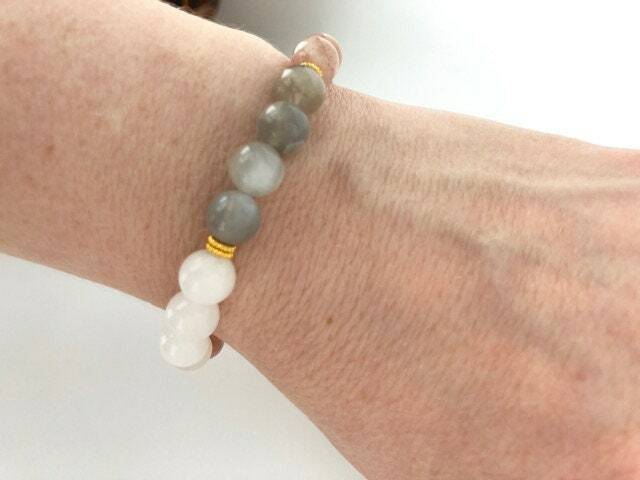 Snow Quartz provides peace, enhances self-reflection, boosts the immune system.